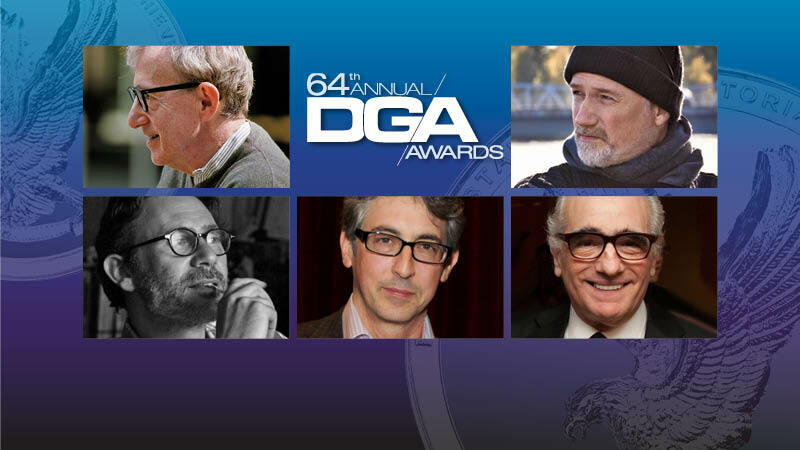 The Directors Guild of America has announced the feature film nominees for their 64th Annual DGA Awards. 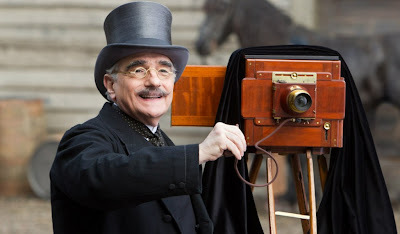 The five feature film nominees this year are Woody Allen for Midnight in Paris, David Fincher for The Girl With The Dragon Tattoo, Michel Hazanavicius for The Artist, Alexander Payne for The Descendants, and Martin Scorsese for Hugo. Fincher was a surprise inclusion, while omissions included Terrence Malick for The Tree of Life, and Steven Spielberg for both The Adventures of Tintin and War Horse. Allen and Scorsese are previous DGA Award winners for feature film, Allen for Annie Hall and Scorsese for The Departed. They have also both received DGA Lifetime Achievement Awards. David Fincher is a previous DGA Award winner for commercials. The nominees for television an commercials will be announced tomorrow. The documentary nominees will be announced on Thursday. The 64th Annual DGA Awards Dinner will take place on Saturday, January 28, 2012 in the Grand Ballroom at Hollywood & Highland in Los Angeles. The evening will be hosted by Kelsey Grammer. LOS ANGELES, CA: On January 9, 2012, DGA President Taylor Hackford announced the five nominees for the DGA Award for Outstanding Directorial Achievement in Feature Film for 2011. "The directors nominated this year for the Outstanding Directorial Achievement in Feature Film Award have each demonstrated an inspired command of the medium. The fact that their prodigious talents have been recognized by their peers is the highest honor a director can achieve," said Hackford. "I offer my most sincere congratulations to each of the nominees." The winner will be named at the 64th Annual DGA Awards Dinner on Saturday, January 28, 2012, at the Grand Ballroom at Hollywood and Highland. This is Mr. Allen’s fifth DGA Feature Film Award nomination. He won the DGA Award for Outstanding Directorial Achievement in Feature Film for Annie Hall (1977), and was previously nominated in that category for Manhattan (1979), Hannah and Her Sisters (1986) and Crimes and Misdemeanors (1989). Mr. Allen was honored with the DGA Lifetime Achievement Award in 1996. This is Mr. Fincher’s third DGA Feature Film Award nomination. He was previously nominated in this category last year for The Social Network and for The Curious Case of Benjamin Button in 2008. He previously won the DGA Commercial Award for Speed Chain (Nike), Gamebreakers (Nikegridiron.com), and Beauty for Sale (Xelibri Phones) in 2003 and was nominated in that category again in 2008. This is Mr. Hazanavicius’ first DGA Feature Film Award nomination. This is Mr. Payne’s second DGA Feature Film Award nomination. He was previously nominated in that category for Sideways in 2004. This is Mr. Scorsese’s ninth DGA Award nomination. He won the DGA Award for Outstanding Directorial Achievement in Feature Film in 2006 for The Departed, and was previously nominated in that category for Taxi Driver (1976), Raging Bull (1980), Goodfellas (1990), The Age of Innocence (1993), Gangs of New York (2002) and The Aviator (2004). Mr. Scorsese also won the DGA Award last year for Outstanding Directorial Achievement in Dramatic Television for Boardwalk Empire. In 1999, Mr. Scorsese was presented with the Filmmaker Award at the inaugural DGA Honors Gala, and he was honored with the DGA Lifetime Achievement Award in 2003. The winner in the Feature Film category will be announced at the 64th Annual DGA Awards dinner and ceremony on Saturday evening, January 28, 2012, at the Grand Ballroom at Hollywood & Highland. The DGA Awards will be hosted by director/actor/producer Kelsey Grammer.